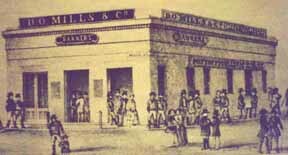 1881 Tibbits becomes the postmaster, so the post office returns to the building until 1895. 1984 El Capitan bank opens. It was been a bank again ever since.